Charming, 2 bedroom 2 full bath Myers Park area garden condo. Some of the many updates include ship-lap feature on main wall in living area, built in bookcases, reclaimed wood mantel, new light fixtures and granite counters in kitchen. The master is spacious with completely redone master bath and oversize walk in closet. Laundry room is large to accommodate full size washer and dryer and still has extra storage. Abundant natural light and relaxing balcony / patio space overlooking garden and pool area. New roof in 2012 and new HVAC in 2016. Two assigned parking spots. 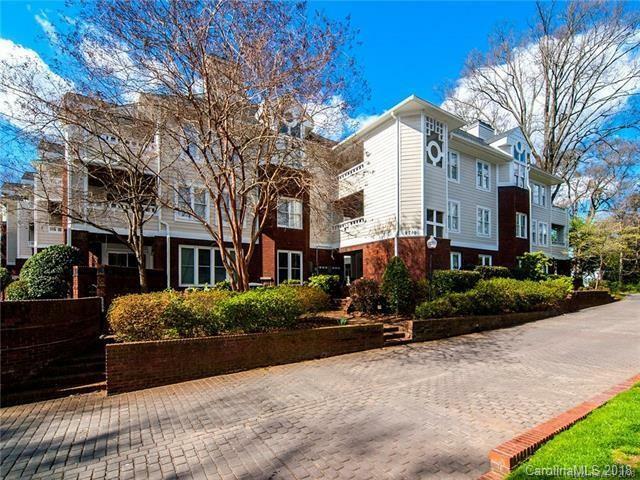 Fabulous location, walk to Selwyn Pub, Reid's Fine Foods, easy commute to Queens University and Uptown Charlotte.